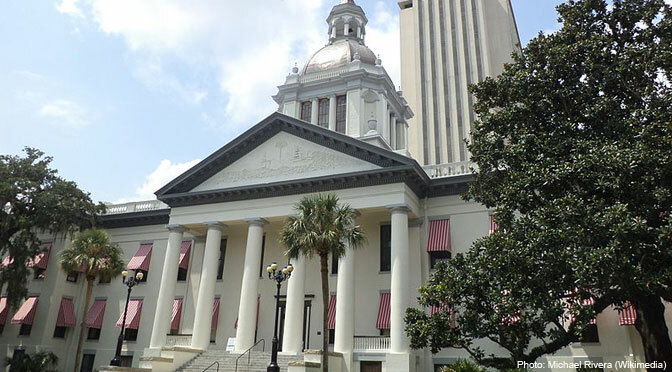 The Florida Senate approved a measure Wednesday that would regulate the abortion industry and prohibit public funding to abortion giant Planned Parenthood. The bill, which now heads to the desk of Gov. Rick Scott, would require abortion facilities to have admitting privileges or a patient transfer agreement with a local hospital. House Bill 1411, which passed the state Senate 25-15 on party lines, restricts state funding to Planned Parenthood affiliates, but shifts money to comprehensive health care clinics. The abortion industry in Florida receives an estimated $200,000 in Medicaid dollars every year, and under the measure, government agencies would be prohibited from funneling public money to abortion centers. “The idea that those taxpayer dollars would go to an organization that performs abortions is simply intolerable,” Sen. Rob Bradley said. “We pay their light bill, we pay their salaries, we pay all kinds of things when the state contracts with these clinics,” Bean said. The bill, which requires abortion facilities in the state to adhere to basic health and safety standards, mirrors legislation in Texas regulating the abortion industry. Gov. Scott has declined to say if he will sign the measure into law.